Little Miss Architect - interior design and architecture blog: Designer lamp from the seventies. "Jack strong". Designer lamp from the seventies. "Jack strong". I have just seen "Jack Strong", a film on Ryszard Kukluński, a Polish colonel and Cold War spy for NATO. The movie itself was great but as usually I was paying great attention to the set design - and I wasn't dissapointed. The best West-Europen design from the seventies and eighties is very well shown in the movie. 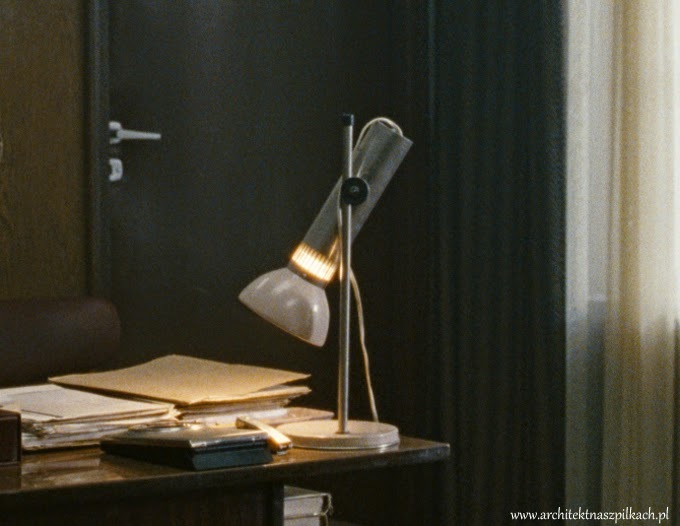 An object I liked the most was the lamp from the main character's office. The screens from the movie aren't of a very good quality but you can see the interesting metal shape. It would look great in contemporary loft-style interior.